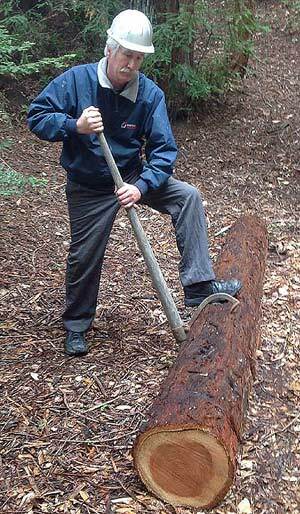 Using a logger's tool called a "peavey"
Founded The Vegetation Management Video Project Committee to raise environmental awareness, promote vegetation management and prevent a billion dollar Berkeley Hills type fire from striking the San Francisco Bay Area. Developed concept, wrote 15 page script, built web site, solicited endorsements, hired cast, crew and director, scouted filming locations, obtained archival footage and coordinated all phases of post-production including editing and sound mixing. Also arranged venues for presentations to various stakeholders, secured cable casting in four different counties and submitted video to several local, regional and national film festivals. Attended nearly all San Mateo County Fish & Wildlife Committee meetings since the advisory group formed, numerous Parks & Recreation Commission meetings, as well as Fish & Wildlife Commission meetings in neighboring counties. Worked with the Wildlands Restoration Team eradicating exotic invasive plant species in the Santa Cruz Mountain area State Parks. (Big Basin, Forest of Nicene Marks, Gray Whale, Sunset State Beach etc.) Also participated in Pescadero Creek Steelhead Habitat Enhancement Projects. Camp Greenmeadows February 1979. Taught wintertime nature studies and survival skills to 5th and 6th grade boys near Fish Camp, CA. at least 3 days on the Mt. Diablo fire near Concord, CA. California Department of Forestry June to September 1977 and 1978. Wildlands, structural and vehicle, fire prevention and control at Howard Forest and Woodlands stations in Mendocino County. Watched Mt. Diablo burn (from the firelines) in August of 1977. 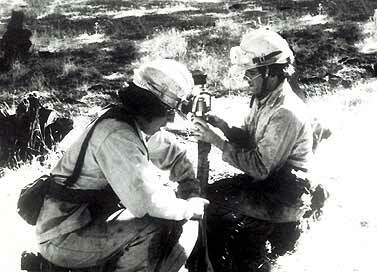 Volunteered on 320 acre control burn at Big Basin State Park in October and November of 1997. Student Conservation Association April to May 1977. Our work group rebuilt a rock wall corral, did trail work, removed old sections of water pipe and dug a leach field for a chemical toilet in Grand Canyon National Park in Arizona. Youth Conservation Corps July to August 1976. Our work group built a footbridge, did extensive trail clearing, picked up roadside trash and painted a picket fence for an historic home restoration project near Whiskeytown Lake, due East of Redding, CA.